Double glazing is ubiquitous throughout the UK these days, for good reason! 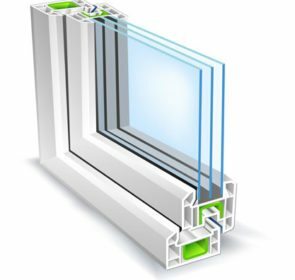 Cheap, efficient, easy to install and readily available, this will be a great choice for people who have been living with single glazed windows. Read our article for price points and all the information you need! The number one concern people have about installing double glazing is the cost. You will be wondering how much new double glazed windows will cost you. You can read our dedicated article on the subject here, or read on for an overview. Thankfully we are here to provide you with a concise but comprehensive overview of how much it should cost you to install double glazing. We break down the costs by material used and give you specific price points for the most common types of windows. Pricing is for aluminium style double glazing windows, cost of materials and installation only. Sash aluminium windows are very rare, so we omitted them. 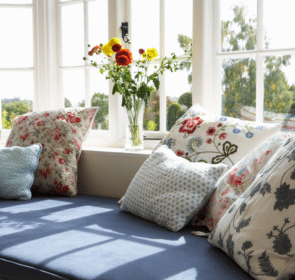 Why spend more money than necessary on your double glazing? Now you don’t need to waste time contacting different companies when comparing quotes because we do the legwork for you. Fill out our quick online form and receive up to 4 quotes by trusted local professionals in under 2 working days. Your free, no-obligation quote request will ensure you get the best possible price. Take 2 minutes to fill out some basic information and save up to 40% on your newly double glazed windows. Double glazing means that you fit a window space with two panes of glass instead of the traditional one. The gap between the two panes will contain either air or an inert gas such as argon to ensure a more reliable barrier against temperature fluctuations outside. Your body generates heat and as it makes its way through the jumper, the fibres of the wool are hollow and trap heat in this small air cavity which keeps you warm and cosy. The same goes for windows. 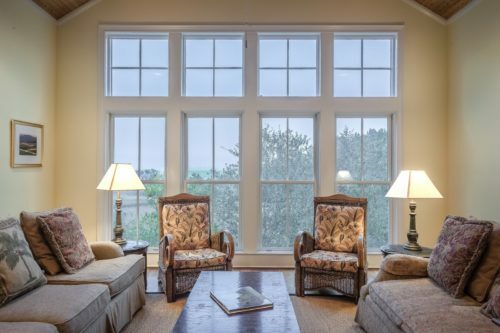 Heat escapes through single pane windows as the glass is an excellent conductor of heat, and with nothing to keep the heat in, it escapes fairly easily. With two panes, the cold air is trapped in the inert gas (usually argon) and does not enter your home. You will feel comfortable and warm with two panes of glass between you and the great outdoors. Heating and cooling your home is getting more and more expensive as energy prices for gas and electricity steadily rise. An average household fuel bill in 2014 was over £1,150. Get lower energy bills by replacing faulty windows with insulating double glazing. Everyone is more environmentally focused nowadays. We pay much more attention to renewable energy sources and products that waste less power. 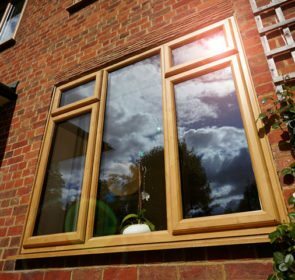 Double glazing makes your home more energy efficient, heating your home in the winter and cooling it down in the summer. Consider this your small – but welcome – contribution to the protection of the earth. Insulate your home well with new double glazed windows. Keep your family warm and healthy with effective double glazing. Many homeowners living in heritage listed homes will know that you either cannot make changes to the existing facade or is very complicated and costly. Secondary glazing, which is similar to double glazing is an option. You can install secondary glazing on the inside of the building without disturbing the outward appearance. Secondary glazing is half as effective as double glazing according to many people. However, they can still provide many of the added benefits as mentioned in our dedicated section on secondary glazing. 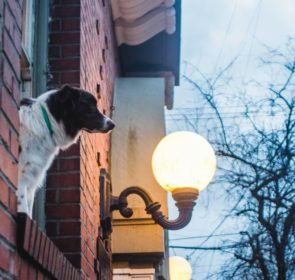 Windows are a home’s weak spot when it comes to security. One of the added byproducts to double glazing is the improved security it gives to your home. By adding two panes of glass the chances of an unauthorised entry are reduced. There are other options available for enhanced security measures. For example, you can use a safety or laminated glass that includes a built-in layer of resin. This makes it difficult to break but also does not compromise on the clarity of the window. With double glazing, the air cavity traps heat between the two panels of glass. The most common reason people get double glazing is for thermal insulation. When you want insulation above all else, you want low-emissivity windows. This is also known as Low E glass. If the glass is Low E, it will reflect even more heat back into the house. Having double glazed windows installed with Low E glass also traps the heat generated from the sun better. This will let in the warmer UV rays without losing the majority of the heat at night. Double glazing is widely used in both old and new houses. It provides the homeowner with many benefits including better insulation, noise reduction and low energy costs. There are many features to consider when looking at installing double glazing with varying styles such as uPVC, wooden and aluminium. There are also many other types of double glazing for specific applications in the home. 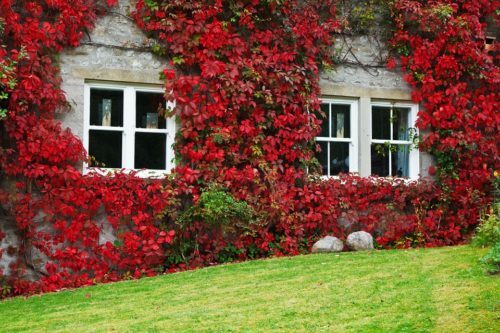 Secondary glazing takes the basic principles of double glazing and applies it to homes where replacing the exterior window fitting is not an option, like with heritage listed homes. By adding a second layer of interior glass you create an air cavity between the two panes. This reduces overall heat loss and noise. Replacing secondary glazed windows is also easy with no speciality tools or knowledge needed. With major home improvements, you want someone you can trust to do the job. This can be tricky! Make sure the job is done properly at the right price by comparing quotes from certified companies near you. Fill out our e-form and in under 2 working days, you will receive up to 4 quotes from reliable local companies. Compare quotes quickly and easily to make sure you don’t pay more than you need for your double glazed windows. Start by filling out your postcode and get up-to-date information today!